UCI's School of Social Sciences has achieved national prominence and top rankings for its outside-the-box methodological and theoretical advances. The school maintains a tradition of excellence in building robust measures, innovative models and powerful methodologies for understanding the human condition in a diverse and digital age. Fifty years ago, the school's founders had a vision to bring together scholars whose different approaches – from quantitative to qualitative, formal to interpretative – tackled fundamental research questions and pressing social problems. Today, UCI's School of Social Sciences is forging connections with computer science, engineering, humanities and the arts. Interdisciplinary connections in law, medicine and environmental science help researchers and policy makers understand the social, cultural and psychological factors impacting regulation and policy adoption, health and human behavior. Social scientists at UCI explore how human and environmental interaction impact climate, energy and ecology. 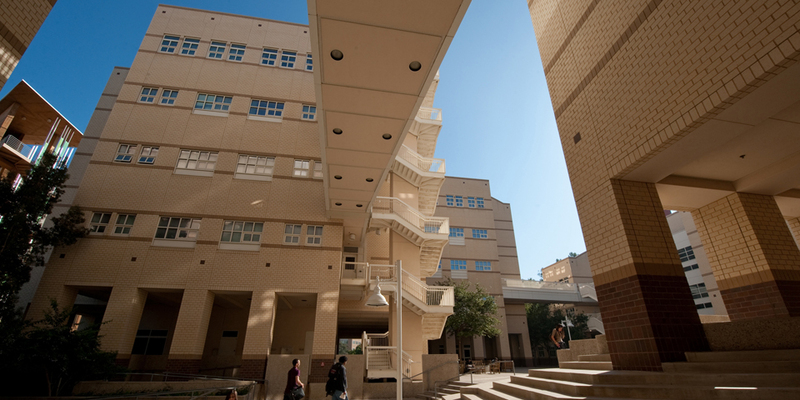 The School of Social Sciences is the largest academic unit on campus with more than 6,000 undergraduate students and more than 400 graduate students. The school annually awards more than one-quarter of all UCI bachelor's degrees. It houses some of the most popular majors on campus, including psychology, business economics and political science. The school enhances undergraduate education with hands-on experience in labs, seminars and award-winning programs like Mock Trial, Global Connect and the Summer Academic Enrichment Program. The school is intellectually diverse with six doctoral programs ranging from logic & philosophy of science, ranked number one in the field, to economics, recognized for its impactful scholarship. These departments, like the others, boast members of prestigious national academies on the faculty. Multidisciplinary in scope and open to unexpected explorations – from cognitive robotics to social computing and behavioral economics – research in social sciences at UCI encompasses all of humanity's increasing diversity and makes a difference in our everyday lives. Faculty also collaborate with campus colleagues through the Center for Hearing Research; Center for Organizational Research; Center in Law, Society & Culture; and others. The school's 175 faculty experts are widely published in areas concerned with population, migration and diversity; international politics, markets, economies, cultures and societies; game and decision theory; and cognition and perception. Their research is frequently featured in top academic journals and their highly relevant, topical expertise is often sought by national media for comments appearing in The New York Times, The Wall Street Journal, the Los Angeles Times and other major news publications. Faculty in the School of Social Sciences ensure students undergo a rigorous, interdisciplinary exploration of major social sciences issues both inside and outside the classrooms and labs of UCI. Students and faculty put theoretical and classroom knowledge to practice in real-world situations locally and around the globe. School-sponsored outreach programs take a global approach to solving community issues. On the local and state levels, programs such as Global Connect and Jumpstart aim to increase knowledge and literacy in K-12 classrooms, while research centers provide community members with an opportunity to hear presentations by recognized political and social figures as well as public intellects and scholarly experts. At the national level, social sciences scholarship contributes to public policy developments in issues of great relevance to California and the United States. On a global scale, social sciences faculty and students spend many hours each year contributing their expertise to improvement of local, state, national and international communities and institutions. Named dean in 2013, Bill Maurer is known widely for his research in the anthropology of law and the anthropology of money and finance, the latter a field which he is credited with founding. 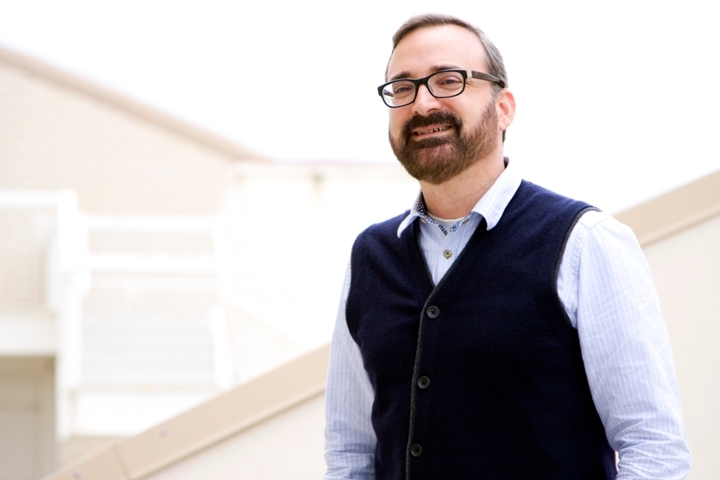 He has served in a number of administrative roles at UCI, including anthropology department chair and associate dean of graduate studies and research for the School of Social Sciences. He also established two major research centers – the Institute for Money, Technology & Financial Inclusion and the Intel Science & Technology Center for Social Computing – with multi-million dollar grants in external funding from the Gates Foundation and Intel. Maurer is a regular voice in the international media, regulatory community and payments industry on innovation in digital payments, mobile phone enabled financial services, and their implications for poverty and consumer protection. He has authored several books on the anthropology of money, most recently How Would You Like to Pay? How Technology Is Changing the Future of Money. In 2011, he was named the UCI Lauds & Laurels Faculty Achievement award winner. Maurer is the associate editor of the Journal of Cultural Economy and serves on the editorial boards of the Journal of Islamic Accounting and Business Research, Cultural Critique and PoLAR: The Political and Legal Anthropology Review. He holds degrees in anthropology from Vassar College and Stanford University. Release: Why are we so afraid to leave children alone?